Google today announced Android Wear, a project that extends the company’s mobile operating system to wearables. The company is starting with watches, and has released a Developer Preview so app creators can tailor their existing notifications for watches powered by Android Wear. Google has partnered with several consumer electronics manufacturers (including Asus, HTC, LG, Motorola, and Samsung), chip makers (Broadcom, Imagination, Intel, Mediatek, and Qualcomm), as well as fashion brands (only the Fossil Group was named). The company says it will use these partners to launch watches powered by Android Wear later this year. Your key to a multiscreen world. Android Wear lets you access and control other devices from your wrist. Just say “Ok Google” to fire up a music playlist on your phone, or cast your favorite movie to your TV. 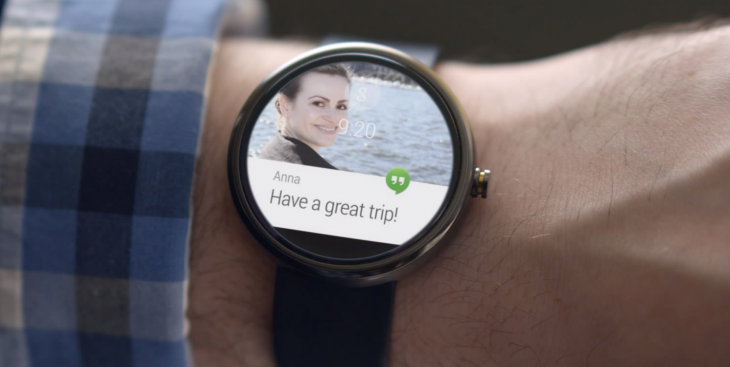 Google did not share today how Android Wear will impact its experimental Google Glass project. Given that Android Wear is meant for all types of wearables, however, it’s safe to say the company will likely bring it to devices like smartglasses as well.